Memory is sometimes a tricky beast, but is that always a bad thing? 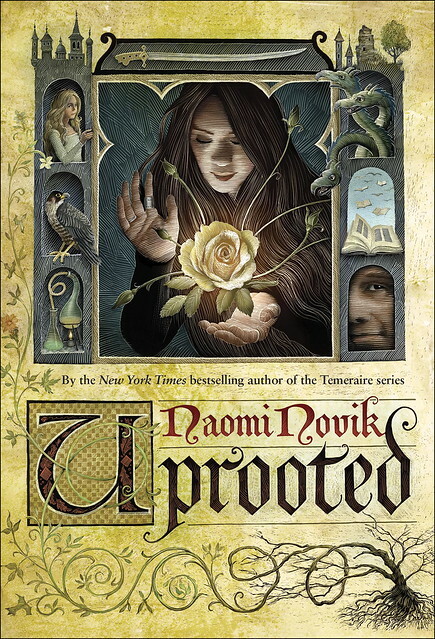 Naomi Novik has some thoughts on this, and how memories, hazy or otherwise, relate to her latest novel Uprooted. In his underground lair beneath Metropolis, Lex Luthor keeps a nest of monstrous pet lion-alligator things. They mostly sound like lions, but he is living in the sewers of metaphorical New York City, so they clearly should have been alligators. Let’s call them alligators. At the end, he feeds Ms. Teschmacher to the alligators for having betrayed him (Superman rescues her, as comic book movies were not yet inhospitable to ten year olds). Scene two: in Jabba’s stronghold, after Luke Skywalker has been dropped into the Rancor’s pit, he leaps straight up into the air and catches the grating above that just dumped him down. He dangles from the iron bars as Jabba’s courtiers bash his fingers with weapons, and then drops again to continue fighting. For years, whenever I attempted to describe the alligators to people, they thought I was out of my mind, but they really do exist, in a pair of deleted scenes edited out of the theatrical release of the movie and included only in a later TV release (for it must be admitted very obscure reasons). When I describe the scene of Luke jumping for the grating, mostly people have a vague feeling of familiarity. But it doesn’t exist. The moment was described in the novelization but never released, never filmed. I remember it as clearly and vividly as the alligators. I even remember clearly a page out of a photo storybook I had showing the scene, which also doesn’t exist. I spent a long frustrated time trying to track it down before I finally accepted that my brain had just put that scene together and quietly tucked it into my memory like a small deceitful landmine. I have also forgotten and falsely remembered many other things — stories I myself have written, what my child was like a year ago, the names and faces of good friends. People have told me too often that’s not what happened! how could you forget? I’ve never doubted all those studies about the unreliability of witnesses, because I’ve been made palpably aware of my own unreliability over and over. She has not yet reconciled herself to the frustrating, repeated failures of magic. Neither have I. Making sense of things that don’t quite make sense, we fill in the missing pieces, retelling our own stories and accumulating embellishment along the way. And magic is in those missing pieces. When to remember is to create, to imagine is to make true. Why shouldn’t Mr. Spock be a real person when Hillary Clinton is? Why shouldn’t there be magic, if the past can change out from under us? Uprooted takes place in a Poland that exists only in my own mind. It grew out of the fairy tales my mother read to me in Polish when I was a child, not older than my own daughter, before I was too old to really believe in forest fairies and mountains of glass. After I was five we stopped speaking the language at home, and I didn’t learn to read it until I was much older. Even now I’m not fluent enough to read the stories by myself without help, but when I plug uncertain words into translation sites, the meanings that come out aren’t the ones I am looking for. The word olbrzymi means enormous, but not to me; in my head it means monstrously overgrown, tangled, terrifying. But I reject the dictionary entries: they are correct but untrue. I am not just making things up when I tell you a story about a valley of living water and tangled forests, a castle of many towers. I am telling you about a place that I have been. There are many dangers in the unreliability of memory, but in the realm of fiction it opens the possibility for the reader to believe in magic too, to feel it creeping up on them, the faint uneasiness of could that have happened? There’s magic in accepting the gap between physical reality and the shifting electrical sands of our brain cells, and allowing ourselves to visit a real and impossible place. Just FYI to whoever handles these things, there’s a bit of markup in the fifth paragraph that appears not to have taken. Ahh, but what you remember is correct – you’ve just moved between parallel universes, to, for example, this one where (right before you traveled) some villain moved your car keys to the freezer. >> I even remember clearly a page out of a photo storybook I had showing the scene, which also doesn’t exist. Are you sure? Because as you were describing how that scene didn’t exist in the movie (and before you mentioned the storybook), I remembered the photo from a photo storybook… surely we can’t both have the same false memory? Did you track down this book and the photo wasn’t there or could you just not find the book? Strangely – the scene you described above with Luke – I seemed to recall it as I was reading – but clearly not! Similar thing happened with Star Trek: Generations. There was a scene in the theatrical release, with Soran torturing Geordi, that they cut from the DVD version. Weirdest sort of anti-deja vu. I think I still have somewhere the old Alan Dean Foster novelizations of the original Star Wars trilogy, with the photo pages bound into the center. I’ll have to see if I can track those down, see if that photo of Luke is in there. YAY, I’m not going crazy! Or at least, I might be going crazy but not because I falsely remember a picture of Luke swinging from the grates at Jabba’s Palace. David, based on the evidence above I apparently was wrong about the storybook not existing! So, I guess my premise may be slightly flawed, although on the bright side my memory seems to be better than I thought! @chtp I have that book and the shadow on his face in that picture always freaked me out. This book sounds great Naomi. 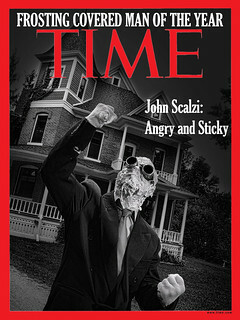 Love the cover, too. At last! So, so, SO glad UPROOTED is finally out. 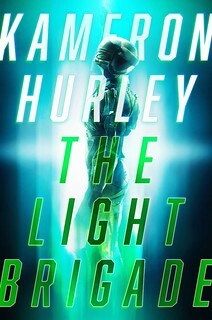 We got an ARC last summer and loved it: I can’t wait to put it into people’s hands (and then talk about it with them). I remember seeing the test footage from RotJ that included this! For years I had the vividest memory of the crow in Disney’s Sleeping Beauty flying through the clouds of magic puffing up from the chimney and flying back to Maleficent pink. I was stunned when they re-released the movie and that scene wasn’t there. This book sounds like one I’ve been waiting to read for years, even though I just learned about it yesterday. My mother raised me on fairytales, and still gifts me fantasy picture books and collections of folklore for Christmas. Now I know what I’m asking her to pick up for my birthday. Or what I’m sending her as a spontaneous gift. Or both. So looking forward to reading UPROOTED! And I somehow remember that scene at Jabba’s palace as well! This is my favorite thing about vocabulary borrowed from other languages, and the process of learning other languages in general. For all of English’s complexities, there are still so many concepts that we have no words for! I’m so looking forward to reading Uprooted–I’m headed to the bookstore first thing this weekend! Memory has often been a torment to me. I vividly remembered seeing a trailer for “Meeting Venus” with my wife and our jointly resolving to watch it together. I remember our watching it together and discussing it during and after, and how much we loved it. Years later, I mentioned it to her and she insisted she had never seen it. We got the video and watched it, and while she loved it she insisted she had never seen it before. But that’s not half as weird as the time I read a story and knew, the whole time, that I had read a summary of it (and knew how it would end). And yes, I made sure that was the very first publication of the story. I understand that the word “potrzebie” frequently used in the early days of Mad magazine, means “rush”, and was probably seen on a shipping crate. One day I am going to create a Polish speedster superhero named Potrzebie. I may or may not explain it. I am also looking forward to reading Uprooted, of course. I feel like this is very similar to our dreams. Often times I will have a dream and sometimes I will reiterate what happened to others as though it actually happened and they explain to me how that is impossible. It is then that I realize my mind’s betrayal. Read ‘Uprooted’ over the long Memorial Day weekend. Loved it. Potrzebie means “need,” actually. Kurtzman got it from multi-lingual instructions that came with a bottle of aspirin.